The Tax Cuts and Jobs Act (TCJA) was passed at the end of 2017, with, according to lawmakers, the intent of helping to alleviate the tax burden on small businesses. Most business over will see some financial relief, with a 20% deduction on “qualified” business income, but some may lose out on the savings due to earning income above the law’s thresholds, or because they work in a field in which the deductions don’t apply. TCJA also made several changes to tax rates and withholdings for individuals as well. Since the passing of the TCJA, both business owners and employees and workers have been waiting for more information from the IRS. The IRS released Notice 1036 in January to update on the new income-tax withholding tables and reflect the changes made by the tax reform legislation. 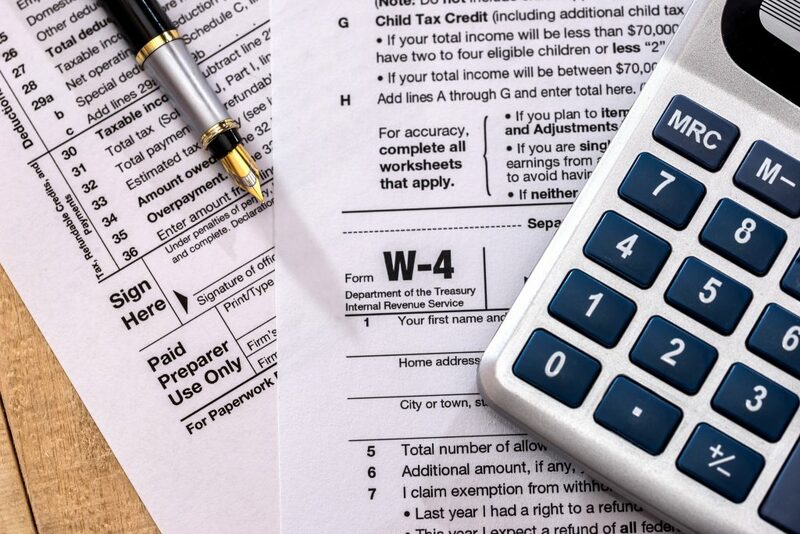 The IRS has finally released the updated Form W-4 which reflects the TCJA changes, as well as a couple of other items designed to help employees determine whether or not their withholdings are correct following the tax rate changes. Withholding Calculator: This is a newly released tool on the IRS.gov site that can help employees determine how to have the right amount of tax withheld from their paychecks to reflect TCJA changes. Withholding Calculator Frequently Asked Questions: Explains who is affected by the changes to withholdings, and answers a lot questions that employees may have on the subject. Reiterates the importance of employees checking on and updating their current withholdings. Employers are encouraged to check with a payroll specialist to ensure compliance with the new withholdings for their employees.